To have or not to have? 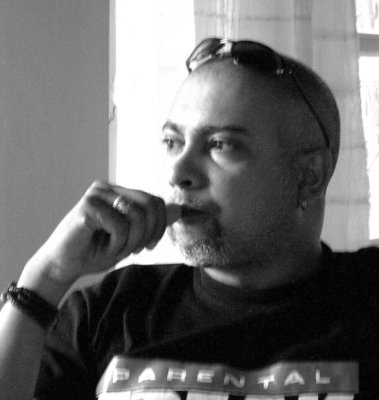 Questioning victory day, military parades et al. 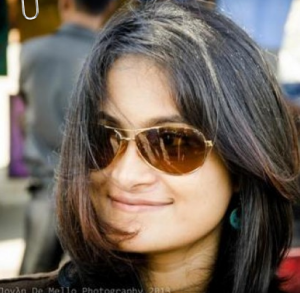 See Udan Fernando’s review here. 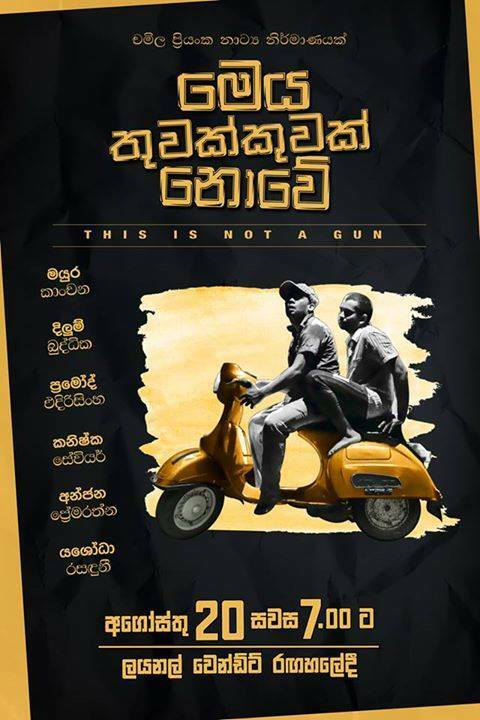 I am lucky to be in Sri Lanka to see how differently and courageously a new director makes his debut! Whose Side is the Law On? I explain to the man in a brown t-shirt, that one of the attendees of the ‘peaceful vigil‘ was just dragged off by the police. He looks surprised. Then he motions towards the barricade of police in front of us and remarks that they’ve brought cans of tear gas with them. I turn towards the policemen and take pictures of the cans. Then I hear a scuffle behind me. Gaya: It’s 11 pm and I would have shut down if I had not read Meg’s sketch on what was so ominous and unreal about the aftermath of the events that disrupted a peaceful demonstration in Colombo. I think every generation faces its own particular challenges; but the greatest and most defining ones are those of morality and courage. That moment, if missed, condemns that generation — and often many that follow — to a world far more unpleasant and evil than we would wish it to be. For many in the free world of the late 1930s, that moment came with the invasion of Poland and the bombing of Pearl Harbour. It was a moment when my grandfather’s generation had to decide if they would simply stand on the sidelines or go out and fight someone else’s cause. Fortunately for them, the choice was easy; their respective governments took the right fork, and millions of young men — my grandfather included — went out into the deserts, the jungles, and across the seas to ensure that tyranny and racism would not shape our world. For 1960s America, the moment of destiny was in fact a place — Vietnam — and a moral choice. America made its decision, albeit a little late for millions of Vietnamese. But when that hour of destiny arrived thirty years ago in Sri Lanka, our parents’ generation failed us. 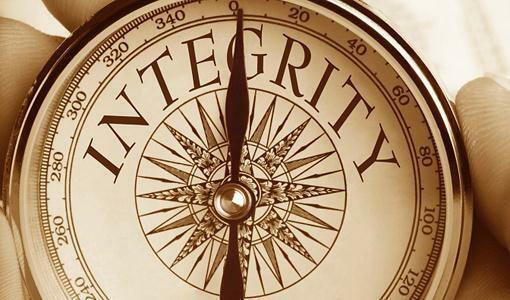 Are we all equally to blame for booting out Ethics and Integrity? Ask the Jury? GAYA’S COMMENT : I don’t believe that we are all equally to blame for ‘booting out’ integrity and ethics as Malinda says. But, I do believe that when ‘champions’ emerge from the bullrushes in the garb of the prophet, we as an audience who has the benefit of experience, hindsight, memory and education on the dynamics of powerplay in politics should use em in determining if the ‘new’ champion is worthy of a salute. Today highly influenced by immediacy of digital media people rush to click a like without reading the article and same is true for the ‘liking’ of any foe of an enemy which is very Bushlike. You may not like the regime but look at Mangala aiya. Read the history. 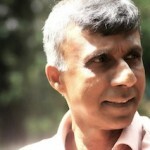 Look at the capers by those who wish to bring change to Sri Lanka. So many have left the building its true. But where Malinda stops is with his generation. The younger generation should not be dismissed as puppets and situations evolve. Velupillai Prabhakaran physically left the building yes, but did he take divisive politics, poverty, extra-judicial killings, disappearances when he left? What he did take though was inter alia the forced enrollment of child soldiers and conditioning of young minds to join a non-state army. What is important today on his birthday is to support the ten year old orphans, 26 year old mothers and young people struggling towards the future. We need to support a real champion who will emerge in a sustainable cast in a not-too-distant future which is beyond the horizons of urgent media. Not another puppeteer ! Of the four trade union actions carried out by the Federation of University Teachers’ Association (FUTA) in the three decades of its existence, the one which ended last week was the first to conclude with no tangible material results. On the other hand, the last trade union action was of great significance for two reasons. Firstly, it was the first strike action by the university teachers. FUTA resorted to a different activity frame in comparison to the previous three occasions, namely resigning from voluntary positions that the university teachers held under normal circumstances. Secondly, extending its 2011 strategy of taking the issue of education reforms beyond the boundaries of the university and to the general masses, FUTA, this time highlighted more general issues of education reforms than the specific demands of its members. Hence FUTA was able to generate a broader discussion on the educational reforms that the country is badly in need of. Concluding a Trade Union (TU) action with no concrete results is not an uncommon thing in the trade union history since the trade union action means a struggle between two opposite forces with substantially different interests. Just because the TU action failed to register concrete and tangible gains, it does not necessarily mean that it was a failure. Similarly, even it is a failure, it is not a ground for discontent or disappointment if the union membership and its leaders are able to decode the reasons for the failure and take necessary actions not to repeat them in future trade union actions. So it is imperative for FUTA to have a critical reflection on the past union actions. Why did it fail to win its demands? Notwithstanding the fact that it was the trade union action which received the participation and the support of more than 90% of the university teachers and generated support of the significant layer of the society, this is difficult to comprehend. Could it be due to the fact that some of the FUTA demands are not achievable in the prevailing economic and social context without far-reaching changes? Was there a basic flaw in the frame of struggle? Can the failure be attributed to the fact that although the FUTA was able to build pressure through mass action, the FUTA negotiation team had failed at the negotiation table? In my opinion, these are the issues the FUTA should discuss and reflect on if it wants to continue as a trade union. Although I have my own views on the above issues, I do not intend to discuss them in this article. My intention here is to re-draw the boundaries of the discussion on the FUTA demand of 6% of GDP for education. Fantasies are of great importance and useful in building social movements. 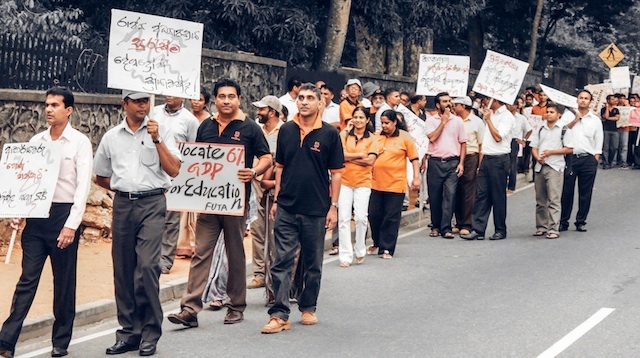 It is interesting to note that the FUTA was able to fantasize the demand of 6% of the GDP on education especially among the Sri Lankan internet community that is growing. Keeping the demand at the level of fantasy during the time of trade union action might also have helped the trade union action. Nonetheless, in the post-strike phase, it is imperative to re-read the demand in the light of the ideas that were flagged in the discussion. There were two criticisms on the FUTA demand to which I intend to turn shortly. The economists reacted against the demand for 6% of GDP on education focusing on the demand’s practicality. They correctly pointed out that the state’s contribution to the GDP had greatly reduced with the introduction of neo-liberal economic policies since 1977. The total government expenditure as a proportion of the GDP has reduced to 22% in recent years. So, spending 6% out of this total government expenditure, according to them, is not practically possible. 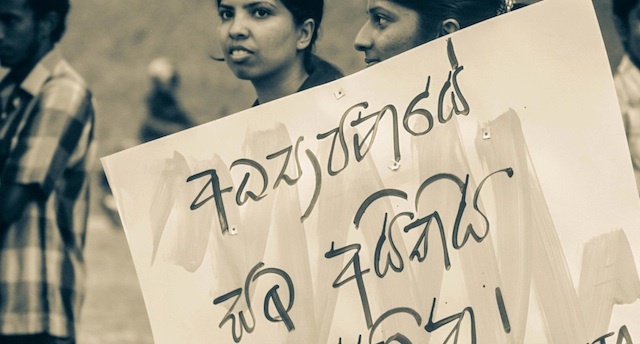 This may be the reason why many economists attached to the department of economics, University of Colombo refused take part in the trade union action. The answer to this criticism on the side of FUTA was not satisfactory. FUTA argued that 6% can be spent if the government is ready to reduce defence expenditure substantially and/or cut down corruption and wastage. This argument does not hold water. The main portion of the current defence expenditure is of recurrent nature. If the proposal for substantial reduction of the former is not linked to decommissioning with alternative employment, the implementation of such a proposal would create so many new problems. So, in order to materialize FUTA’s demand for 6% of GDP for education, the demand should be linked with the expansion of the public economy. In other words, it means a reversal of the 1977 neo-liberal economic policies. Without moving towards an economy that is substantially dominated by the public sector, 6% is just an empty signifier. Only such an economy can provide adequate expenditure on education, health, public transport, etc. In order to reduce possible misunderstanding, let me explain what I meant by public economy that is qualitatively different from the statist economy and/or private economy. Health, education, public transport and such services should not be permitted to be controlled either by state bureaucracy or by surplus-seeking capital. Based on the experiences of the past, it is necessary to design a new system of management for these sectors. The FUTA’s demand would be meaningful if and only if it is linked with such far-reaching changes in the prevailing economic system. In the course of the FUTA struggle, a clear difference emerged between the positions of the FUTA and that of the Inter-University Students Federation (IUSF). While FUTA stood for the defence of ‘state education’, IUSF had the slogan of defending ‘free education’. Is this a mere semantic difference? In my view, these two demands are qualitatively different. FUTA’s position implies that it has no objection to the presence of private sector education controlled by the logic of surplus-seeking capital with the state education. Secondly, it also means the continuance of the present system as a system controlled by the state bureaucracy especially in school education. 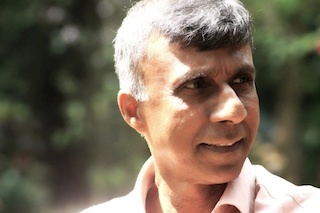 On the other hand, IUSF wanted to continue the free education system originally initiated by E W Kannangara. In Sri Lankan education discourse, the term widely used to denote public education system has been free education. Why did FUTA change it? No explanation was given. Admittedly the IUSF demand is not clear about the system of management of the free education system or how the free education system could be freed from the state bureaucracy and put under a democratic control of the educationists. However, its demand at least emphasizes the need of inversing the changes that are now clearly visible in the education system. What I have said above on the public education system can be equally applicable to other sectors such as health that need to be freed from two dominant control mechanisms, namely, capitalist and statist. Humankind has come to the stage when it should discover new mechanisms to govern their lives. 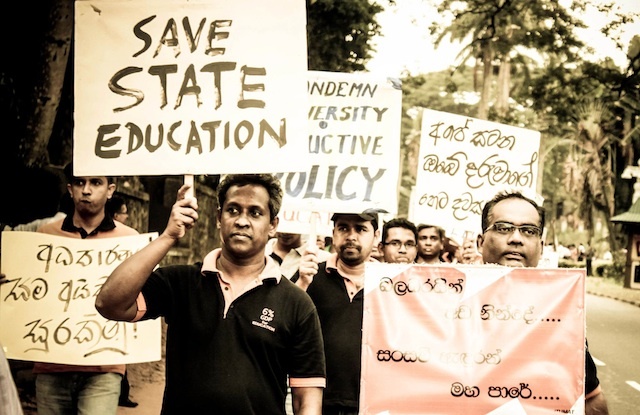 Crisis in University Education in Sri Lanka – Would it lead to undesirable consequences ? Among all the fundamental rights mentioned in the Human Rights Charter, the right to education stands out as a key right any human being should have. It is the educated who have brought about many social changes in society. It is perhaps because our leaders of that time thought of the importance of education that they introduced free education during the early days after Sri Lanka became independent. It is those who benefited from free education who contributed most to the welfare of the country in the days following independence. That should have spurred the leaders of Sri Lanka to foster and promote the system of free education in the country. Unfortunately, that is not what happened. Gaya’s intro: The common worship spaces shared by both Buddhists and Hindus and the intersections were always fascinating to me. This morning an anthropologist friend sent this in recommending it highly. When politics and power collide in issues relating to places of worship or religious rituals, the media and scandal-mongers tend to exaggerate and create further tension in reporting it. Also, it becomes impossible in the scandal-heat to get well researched articles, unbiased and insightful. The Munneswaram Kovil in Chilaw is presently at the centre of a controversy over animal sacrifice. 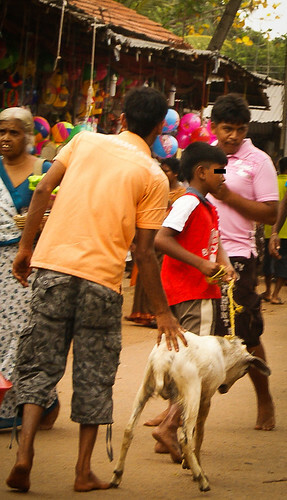 Although animal rights activists are among those, who are fighting for the end of this practice, the opposition voiced by the standard bearers of Sinhala-Buddhism like the Janthika Hela Urumaya (JHU), a section of Buddhist monks, and the ebullient Minister of Public Relations, Mervyn Silva, has given the movement an ethno-religious colour. Since the Tamils, per se, have kept their views to themselves (barring the All Ceylon Hindu Congress, which has issued statements opposing animal sacrifice) the movement has acquired the look of Sinhala-Buddhist opposition to a time-honoured practice in an ancient Tamil Siva temple. However, this divide, seen in media coverage and political statements, does not reflect the situation on the ground at Munneswaram. 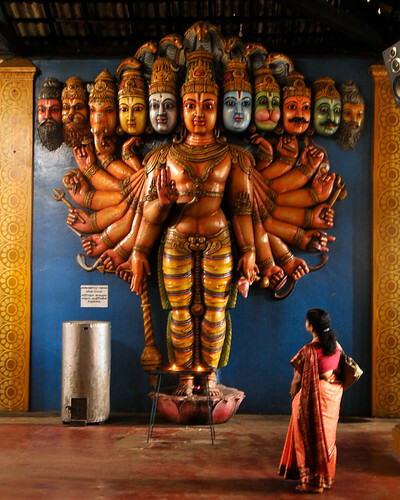 The divide also goes against the rather unique historical association of the Munneswaram Temple complex with ethno-religious harmony, namely, harmony between the Tamils and Sinhala-Buddhists. 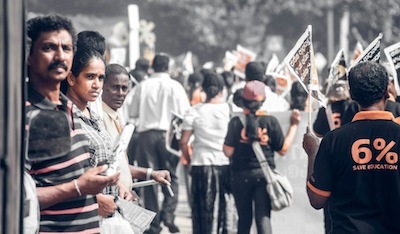 Literature on the temple complex reveals that from the earliest times, it has been a unifier rather than a divider of Sri Lanka’s two major communities. The temple, including the shrine for Bhadra Kali, where animal sacrifice takes place, has been a rallying point for Tamil Saivites and Sinhala-Buddhists since the 10th century, when it was constructed. The main shrine, devoted to lord Siva and his consort Ambal, and the smaller one for Bhadra Kali, have been meeting grounds for these two communities even in periods of great ethnic strife, as in the 1980s, when the island was torn by rioting, terrorism and war. work and how your identity can distort the way you are perceived. final months of the war. This is, I soon realised, a no-win situation. persists. To trust or not to trust? gone back to that doctor since. 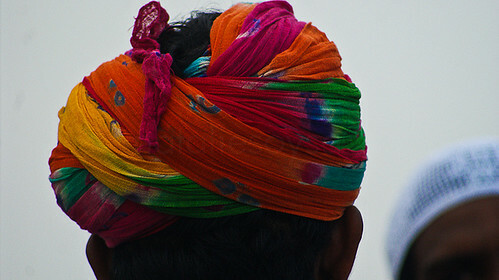 individuals, and not as symbols of the nations we happen to belong to.